ERBuilder is a versatile database modeler. The UI layout is quite straightforward, so new users should have no problem getting the hang of things. 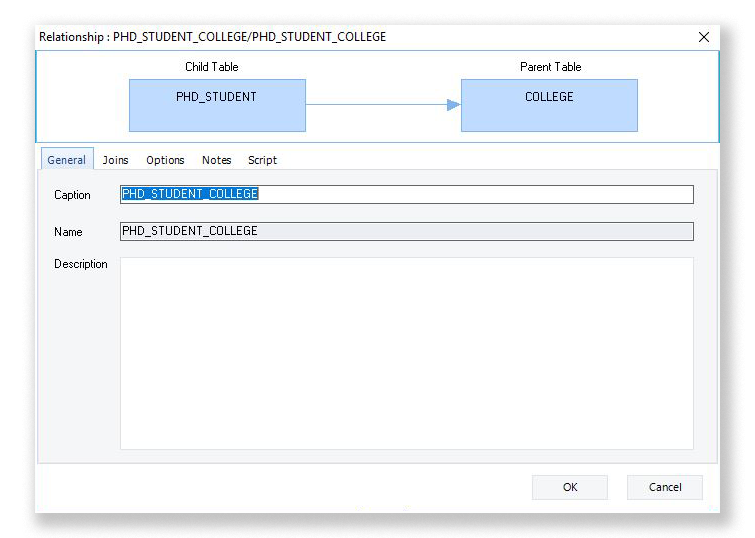 ERBuilder Data Modeler allows developers to graphically design databases by using physical models and entity relationship diagrams to automatically generate the most popular SQL databases. 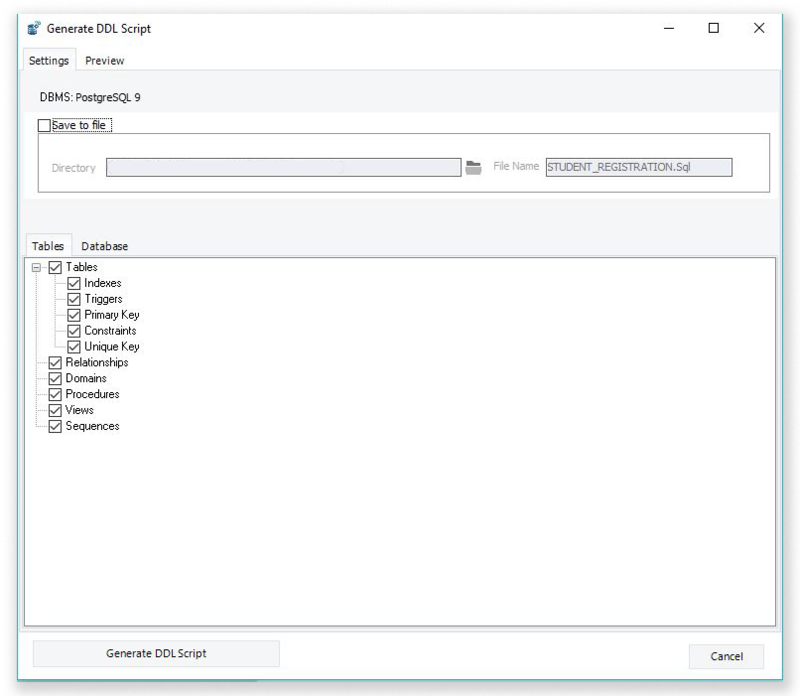 ERBuilder allows developers to create relationships, indexs, keys, triggers, stored procedures, views, generators and domains. 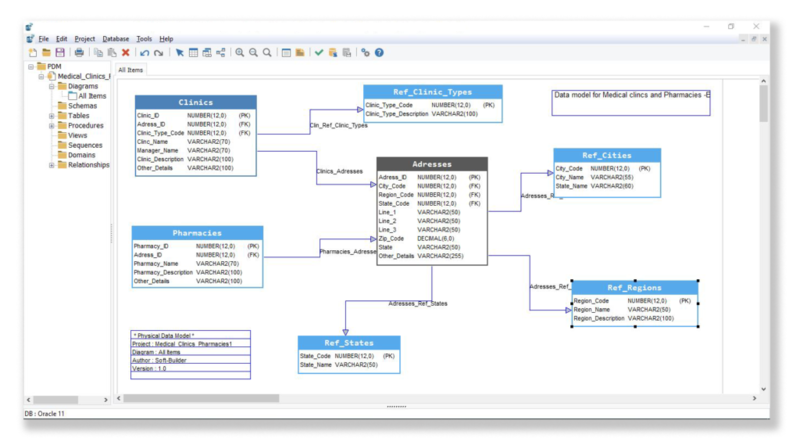 ERBuilder allows developers to generate DDL scripts and databases by offering a sophisticated visual data modeling environment.